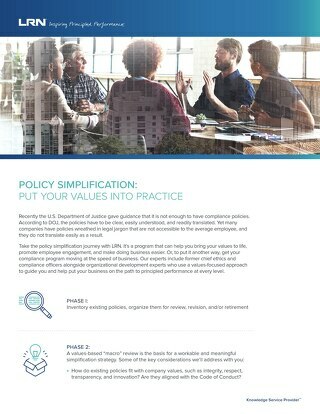 Every organization draws competitive advantage from its unique character and culture; your custom code should reflect this. Through an in-depth assessment and discovery process, LRN experts will work in close collaboration with your team to create the content and the design that brings your code to life in whatever format you’ve chosen. 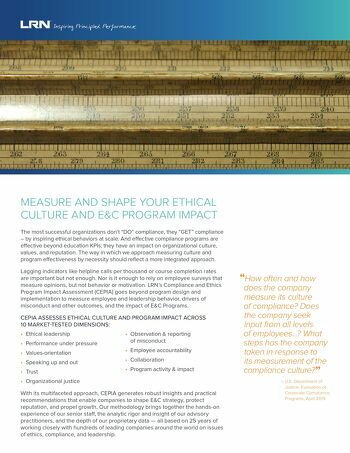 Measure the real return on your investment on ethics and compliance. 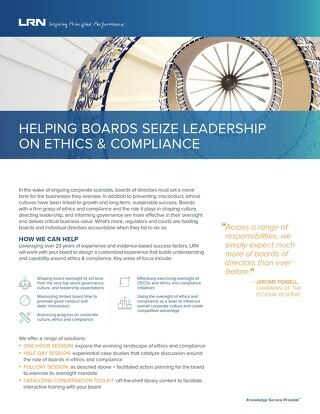 The most effective ethics and compliance programs are embedded in all aspects of an organization. 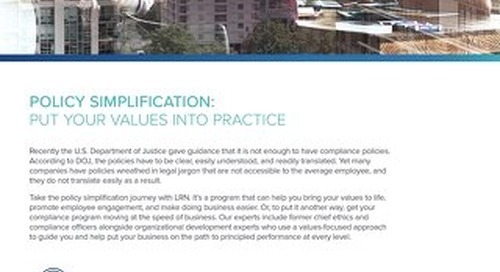 Learn how LRN can help assess, measure and optimize your program to take it to the next level. 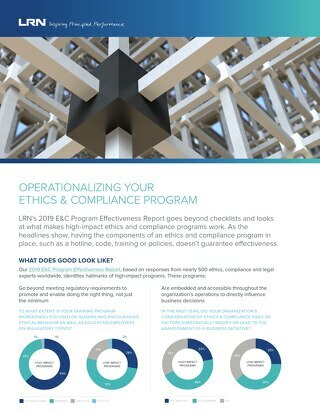 Learn how LRN can help put your values into practice through our policy simplification services and get your organization's compliance program moving at the speed of business. 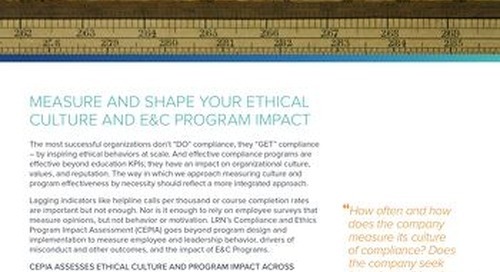 Measure your organization's culture to acclerate business performance. 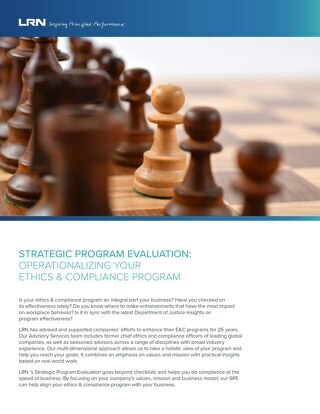 Learn how you can operationalize your ethics and compliance program through LRN's Strategic Program Evaluation.